Country music artist Gary Allan will kick off the grandstand entertainment at The Great Frederick Fair in September. Allan, whose hits include “Watching Airplanes,” “Life Ain’t Always Beautiful” and “Nothing On but the Radio,” takes the stage at 7:30 p.m. Sept. 14. Tickets are $25 grandstand annex, $40 grandstand and $45 track for Gary Allan. Track seating returns for every concert this year. 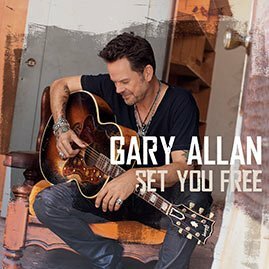 For the Gary Allan show, half of the track will be available for standing-room-only and one-half seats. Tickets go on sale to the public, online only, at 8 a.m. May 5 at www.thegreatfrederickfair.com. Box-office hours will be announced at a later date.